During a recent interview with Karen Civil, Tech N9ne was asked to share his thoughts on Pittsburgh’s own Mac Miller and his independent release dropping on the same day as Welcome To Strangeland. Speaking honestly, Tech responded with, “I don’t know. I don’t even know if he’s really independent, we’ll see.” Tech’s comments didn’t take long to reach Mac Miller, as the young MC wasted no time responding to Tech via Twitter – “I’m a hundred percent indie my G” The two MCs then briefly traded tweets indicating a mutual respect between the two. With both artists dropping albums on the same day, November 8 will prove to be a significant date for independent music. 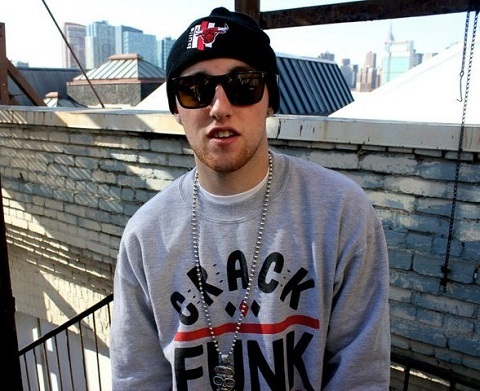 Could we see a Mac Miller and Tech N9ne collaboration in the future? What do you think about Mac Miller and Tech N9ne releasing albums on the same day? Do you want to see them work together? Leave your thoughts below!